I liked the fact that I was able to invite a coworker of mine into the VR chatroom and we were able to look at each other, share videos in the world, and explore the world. You are able to do a number of things in the world including communicate through voice chat, place 3D objects, place YouTube videos, and explore the world (I personally enjoy the castle world). Additionally, I enjoy the easy of inviting people to the rooms, all it takes is sending someone a link which they then click, make their avatar, and join in. When placing video screens in the world, they could be heard very loudly from very far away which wasn't the best. It also isn't the best tool for work related conversations as it is a bit silly. In addition, you are unable to enter building which was a bit of a disappointment. if i am being honest, don't use it for anything work related other than having a bit of fun or for looking into what VR technology implementations are out there. Hubs for me did not solve any business problems. Additionally, I don't believe it would solve many or any business problems for anyone else as it really is not that sort of product. I did however appreciate the benefit of having a fun quick way to have a VR video chat with any of my coworkers or friends. "Reuniones y conferencias en realidad virtual totalmente gratis"
Actually, I like everything. I can make meetings, talk to anyone anywhere. As simple as connecting to my computer or my cell phone, create a room and go. You can choose different places and just by passing the link to the people you want to contact, you can make a meeting without downloading any type of application. You can add images, move and modify the room your way. It is also fast and light to use from the mobile. So far I have not found any error, I love how fast it is even though I use a slow internet connection. They are on an excellent path, if this is the beginning, I want to see everything new that can be added. The first time I used it, it was with some coworkers. We did not agree to take a trip. A colleague sent us the link to connect us and we easily managed to use it and agree. From that moment we use it when we are traveling to make meetings. Even to use it with clients is excellent. "A Great Way to Connect"
It allows you to easily create web-based rooms to meet with others. You can create a room with a single click, and then just share the link with someone. It’s that simple. When they open the link on their phone or PC, they’ll join you in the room as an avatar. I like everything about hubs. However, Mixed Reality communication should complement, not replace, the existing ways we connect on the web, like chat and voice. It will be important to integrate with existing communications tools, so people can start experimenting with Mixed Reality as a new way to spend time together alongside the tools they already use. It is a highly recommended product. You should try it to spend time with far away friends and family, or introduce it to your communities as a new way to get together. Conducting conferences with staff working in branches in other cities, reduces costs of transfers and travel expenses to the company, to carry out trainings and rents struts. It is also used with clients with whom it is difficult to hold personal meetings due to lack of time. 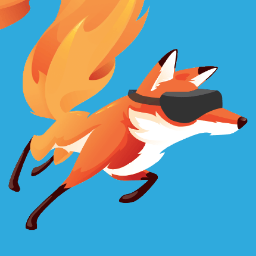 "Firefox Maker Mozilla Starts Testing Social VR Hubs." Your privacy is completely protected: no one will save your personal data, you can meet freely with people here. I did not find something that I do not like, it's really great, although there is still a lot of development but good on the way, I liked it a lot. My final judgment is that it is a fantastic project. Of course, it is just at its beginning, and there is a lot of work to do to add all features that it needs (avatar customizations, scene customizations, interactive objects, etc…), but it already shows its potential. Finally, we have a space in VR where we can meet with all our friends (independently of the device they’re using), without installing any app, and feeling free to talk and to do whatever we want. Easy and useful. I think it’s very Agra’s of other in what it does. Makes one feel the value for its price. Pretty unique system and very easy to use. It could be hard to read, could do with better reading. Software that just works, with no bugs or glitches. And it is truly helpful for those in sales. Better tracking of contacts and email "opens". The user interface was easily explained and well placed. Looking up the help section was not the easiest. It has helped the most not tech savvy employee use the program with ease. "Hubs is a great tool"
* We monitor all hubs reviews to prevent fraudulent reviews and keep review quality high. We do not post reviews by company employees or direct competitors. Validated reviews require the user to submit a screenshot of the product containing their user ID, in order to verify a user is an actual user of the product. Hi there! Are you looking to implement a solution like hubs?